Meet potential client where they are and bring them into your practice. Engage potential sources of referrals. You can engage potential clients on and potential sources of referrals on Facebook, LinkedIn, Google Plus, YouTube, Twitter and other social media platforms. With a bit of planning, you can use social media to grow your practice. Check out our special programs for building your referral network on LinkedIn. Working without defined goals, therapists often get lost in the incredibly dense and busy world of social media. When you work with Therapy Everywhere, we will help you define a social media strategy that matches your business goals. Who do you want to attract to your practice? How will you engage their interest? What do you want potential clients to do next? Once you know who, how, and what, you are on the road to success. Before you begin creating social media marketing campaigns, consider who you want to attract to your practice. What is the ability to pay of your target clients? At TherapyEverywhere, we will help you define target audiences with realistic expectations for reaching each target audience. How will you engage potential clients or referrals? What is important to your target audience? You may have one or more target audience, so you will need to define what is important to each target audience. Once you know what is important, what their pain points are, you can set a plan for how to address those pain points. If your clients are concerned about ABC, your social media posts should address those pain points. Clients want to know that you can help them get relief. your business’ goals. Starting a social media marketing campaign without goals a forest without a map—you’ll only end up lost. What do you want your social media campaign to accomplish? 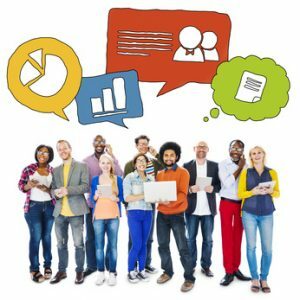 Social media marketing can help you build traffic to your website, brand awareness for your practice, open communications with key audiences, and much more. But, in most cases, what you really want is more appointments. Be defining your goals, you can keep your social media efforts focused on what you want to achieve. Working on social media takes time. To focus your efforts on the social media channels that yield the most new clients for you, use Analytics to track the results of your social media efforts. Click here to find out more about Google Analytics.. The social media and practice growth experts at Therapy Everywhere are standing by to help your practice grow. Click here to get a free consultation. Or, just sign up to get started today with one of our affordable, effective and no obligation practice growth solutions.